It's been a busy week in McMurdo trying to get prepared to leave Antarctica tomorrow. My team and I have been busily cleaning and returning gear to the Berg Field Center and the Crary Lab. The biggest task this week has been preparing samples to be shipped north. I've got all kinds of samples that all have different processing and transportation requirements. It's kind of like trying to figure out how to load a grocery bag. You want your ice cream to stay frozen, your apples not to get bruised, and your eggs not to crack. Only here, I need my ice cores (from Garwood) to stay frozen, my soils (from Taylor) not to grow mold, and my rocks (from everywhere) not to get chipped. Fortunately, the cargo vessel that will be docking in McMurdo next month has freezers, coolers, and giant storage containers aboard that should get my samples home safe and sound. Since Antarctica is in the southern hemisphere, and Portland is in the northern hemisphere, the ship has to cross the equator to get my samples home. It's pretty impressive to think that the ship can keep ice cores at -20*C (-4*F), even when it's 90*F outside. Since my soils don't need to be in a freezer the whole way back, they need to be dried so that they don't grow mold in the heat (the same way foods like potato chips or raisins are dried to keep them from getting moldy). ...all the way up to the top of the wall here. It's worth it, though, since we can carbon date the algae in the sediments. The sediments are on top of the ice, so the ice has to be at least as old as the sediments that bury it (geologists call this "the law of superposition). Get an age for the algae, and we've got an age for the ice. It's also been a great deal of fun. My colleagues--both the scientists, and the support personnel--have been a pleasure to work with. I'm definitely ready to be heading home, but a little piece of me is already excited about continuing to explore in Garwood valley next year! 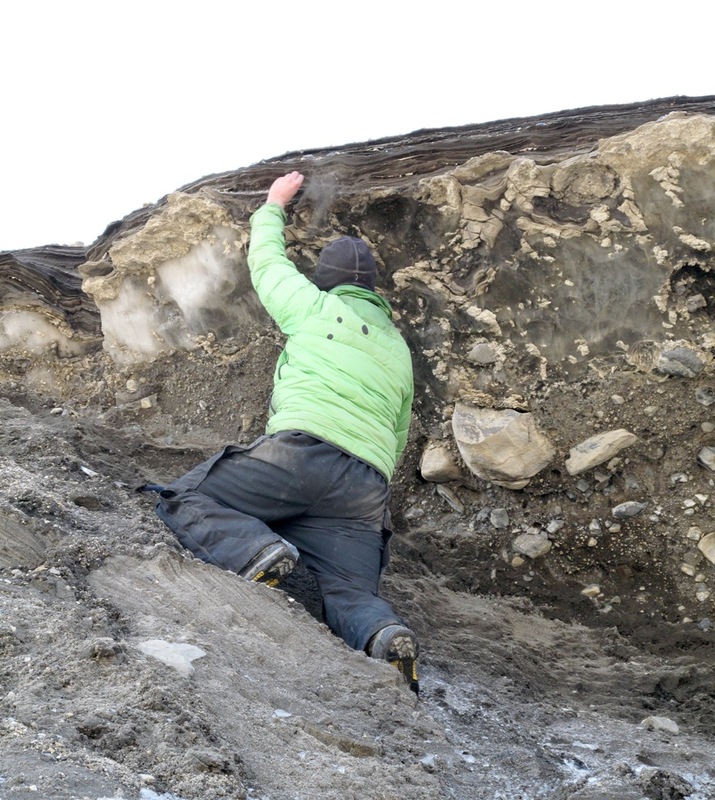 Stay tuned to this blog during the "off season" for updates on what we've found in the Dry Valleys, news about publications, and more stereo pictures!